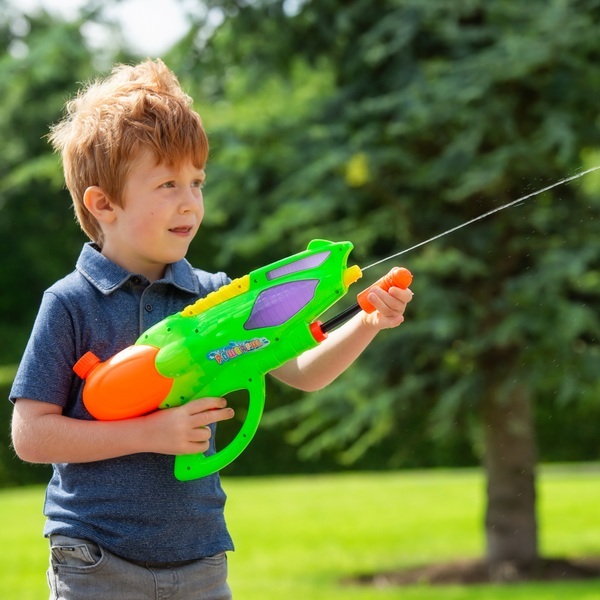 Fun watergun for those fun days! Simply fill pump and point! Styles and colours may vary. Each sold separately. EU Warning: Not for use by children under the age of 3 years due to choking hazard.